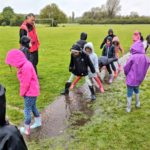 On Wednesday 2 May, year 3 demonstrated the spirit of adventure when they set off for a exciting – and very wet – day at Horton Kirby. 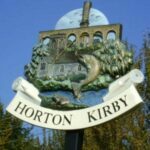 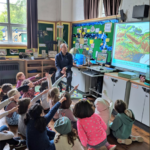 Run by Wide Horizons, the team at Horton Kirby led a wonderful variety of sessions in which our girls were able to explore the River Darent, as well a discover what is special about the natural eco-systems that surround it. 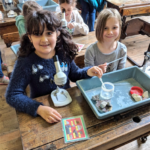 This fantastic experience will contribute to their learning over the coming weeks. 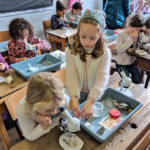 We look forward to seeing their discoveries.